The story of most world-class footballers starts at a local park, where the future star would spend hours a day kicking a ball around with friends from an early age. The standard edition is usually a case of something along the lines of, ‘He would rise with the sun and play football until the sun set at night.’ A scout would spot the player and sign them up for the city’s top academy, where the kid would ease their way through the ranks and eventually make their name in a prestigious first team. But for Edin Džeko, it was different. The land the Bosnian spent his days on was worlds away from a fancy park with flat, even playing turf and an expensive ball. In fact, the park that Džeko mastered the techniques and traits that saw him work his way up the footballing ladder was in the centre of war-torn Sarajevo, which was populated with a rare blade of unharmed grass and a ball only in shape. Many footballers have stories of tough beginnings to life and how they have been inspired by it all. This is the story of Edin Džeko’s meteoric rise from the minefields of Yugoslavia to the pinnacle of European football, where he has cemented his name as one of the most prolific strikers of the past decade. For most of the formative years of Džeko’s upbringing, his hometown Sarajevo was a heavily targeted area for ethnic cleansing operations by the Bosnian Serbs in the Bosnian War, which lasted from April 1992 to February 1996, and left a devastating trail of savagery and broken families in its wake. Known as the Siege of Sarajevo, it represented the longest in a capital city in the history of modern warfare, as the Bosnian capital was attacked by forces of the Yugoslav People’s Army. During the breakup of the former Yugoslavia, Bosnia and Herzegovina followed the suit of other states and declared independence. The Bosnian Serbs had the strategic goal of creating a new state known as Republika Srpska. They encircled Sarajevo with a force of more than 13,000, assaulting the city with artillery, tanks and other arms. In the years of the war, nearly 14,000 people were killed, including over 5,000 civilians. Edin Džeko and his family lived in the middle of Sarajevo, so the sound of bombs and explosions were not rare. Luckily, the Džeko family survived, but that didn’t prevent the events having a long-lasting effect both physically and mentally. The family abode of the Džeko’s was destroyed in this period, along with 35,000 other homes in the city. They had to move between substandard housing, better described as a living space secured with not much more than a door ridden with bullet holes from the conflict, with no more than one meal per day. But Edin Džeko is tough. What was going on outside wouldn’t stop him from expressing his passion: football. At the time of Džeko’s birth, Yugoslavia was becoming one of the powerhouses of football. The national team reached the quarter-finals of the 1990 World Cup in Italy, knocked out by an Argentina led by the great Diego Maradona, whilst Red Star Belgrade won the 1991 European Cup. Shortly after this, however, the conflict started as the Yugoslav army went to war with separatist Croatia, before Bosnian Serbs aimed to remove all other ethnicities from their land. Sport, at a professional level at least, was virtually rendered meaningless. There were no organised matches or tournaments to watch, as the war plagued leisure activities in Bosnia. Despite that, it didn’t affect the peoples’ passion. Bosnians have always loved sport, especially football, and Edin Džeko was no exception. Bosanki Dijamant, which translates as ‘Bosnian Diamond’, spent a large part of his childhood kicking a ball of rolled up duct tape around the war-torn surroundings of his home. His mother, Belma, was sceptical of the idea of her young son being on the streets, but conceded that for Edin, the only way to disconnect from the tragic conflict was for him to follow his dreams and play football. Despite this, Belma once refused to allow him out, telling her son that he mustn’t leave the house. She made the right call. That day, the field where the future Bosnia captain played was bombed and all but destroyed. These harrowing experiences never thwarted Džeko’s dream of becoming a footballer. He never dreamt of being the star that he is today; he never thought about the fame; and he never considered the money he could one day make. For Džeko, it was a love of football and the escapism it offered. Often in life, it seems, bad experiences shape us. Džeko continued to follow his dreams and, at the conclusion of the war, was signed by his first professional club, FK Željezničar Sarajevo. The name Željezničar meant ‘railway worker’, originating from the group of railway workers who established the club in 1921. Finally, it looked as though Džeko had his break in professional football. Sadly, however, it didn’t work out for Džeko at the most successful club in modern-day Bosnia. Fans and journalists close to the side described Džeko as klok, a slang word that best translates as ‘log’ in English. Despite his idol being Andriy Shevchenko, Džeko played as a midfielder in his early days. He was too tall, often ungraceful, and his lanky structure meant he struggled, lacked the technical ability needed to thrive as a creative player. He was labelled lazy and told he wasn’t cut out to be a professional footballer. To succeed, he had to move – both in position and country. And so he did. In 2005, Džeko moved to Czech Republic side FK Teplice for €25,000. Years later, one of the Željezničar directors claimed this fee felt like their club had “won the lottery”. After two solid goalscoring seasons in the Czech game, Džeko was signed by Wolfsburg manager Felix Magath for €4m. During his time at Wolfsburg, Džeko was part of one of the most historic seasons in Bundesliga history, playing a huge role as Die Wölfe won their first ever title in 2008/09. Along with Brazilian Grafite and fellow Bosnian Zvjezdan Misimović, Džeko completed what was known as the Magisches Dreieck – Magic Triangle – as the trio led Magath’s side to unprecedented glory. The next season, Džeko scored 22 goals and won the golden boot. After years of struggling to impress professional scouts and coaches in his homeland, Džeko was thriving in Germany. He left his comfort zone and excelled – all those hours in the minefields of Sarajevo paid off as Džeko looked like a natural-born finisher with an instinct of where to pop up in the box. 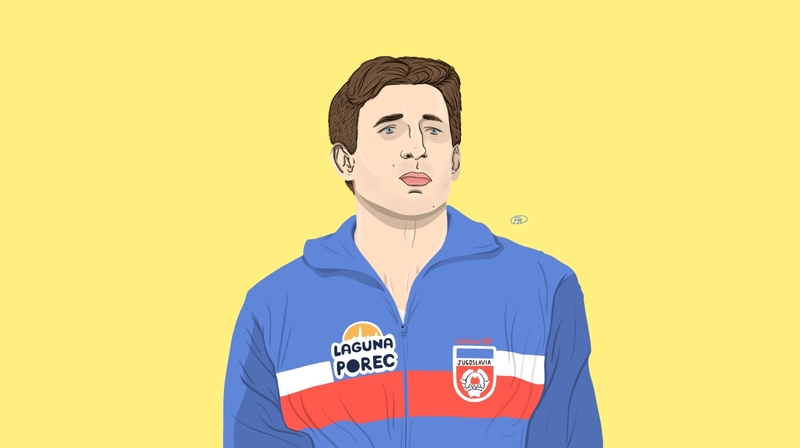 Sadly, this has been one of the themes running through the career of the Bosnian Diamond: many don’t appreciate him for what he is, rarely noticing his undoubted talent – almost a case of ‘you don’t know what you’ve got until you lose it’. That was the case for fans of his next club, Manchester City. In the Premier League, Džeko was often viewed as good, not great, and would almost certainly feature in a fantasy XI made up solely of super-subs. In England’s north, Džeko played a huge role in two title wins for City under Roberto Mancini and then Manuel Pellegrini. The first time around, Džeko was the prequel to the Agüero-ooooo goal, where his header levelled the score before Argentine scored the most memorable goal in Premier League history to secure his side their first league title in 44 years. Three seasons later, Džeko played a pivotal role in City’s 2013/14 title win, scoring 26 goals despite often playing second fiddle to Sergio Agüero and Álvaro Negredo. Again, Džeko will often be secondarily cited as a reason for City’s success; instead, many will note the brilliance of Yaya Touré’s heroics or Steven Gerrard’s unfortunate slip against Chelsea. On the international scene, Džeko turned down the opportunity to play for the teams of the countries he moved to early in his career, the Czech Republic and Germany. 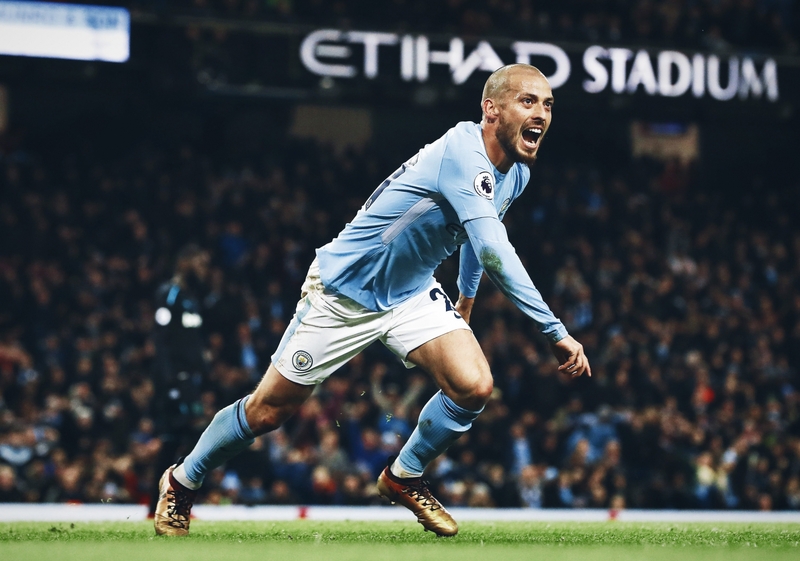 Instead, whenever he wins a trophy, as he did plenty of times in the sky blue of Manchester City, he drapes himself in the blue and yellow flag of Bosnia, grasping the flag with the same pride as he held high the iconic Premier League trophy. Now, Džeko is a dime of Bosnia. When he scores a goal for the national team, it represents much more than a tally to add to the scoresheet: it is a goal for every Bosnian who went through strife in the 1990s. It is a goal for peace, a dedication to all those who weren’t as fortunate as Edin Džeko in surviving to become a national icon. The striker kept his humble character despite being a superstar. Ahead of the 2014 World Cup, which Bosnia qualified for – a story in itself – Džeko took part in a charity friendly to raise funds and awareness for the floods that engulfed villages and cities in Bosnia, Serbia and Croatia that caused damage beyond repair. Along with his teammates, Džeko and the Bosnia national team played against a hundred children from families affected by the devastating floods. That day, there was only one Edin Džeko, for obvious reasons, but on the pitch, every child tried to imitate their hero by wearing shirts with Džeko 9 on the back. His rise beyond the turmoil would’ve been worth it in that small moment of beauty. 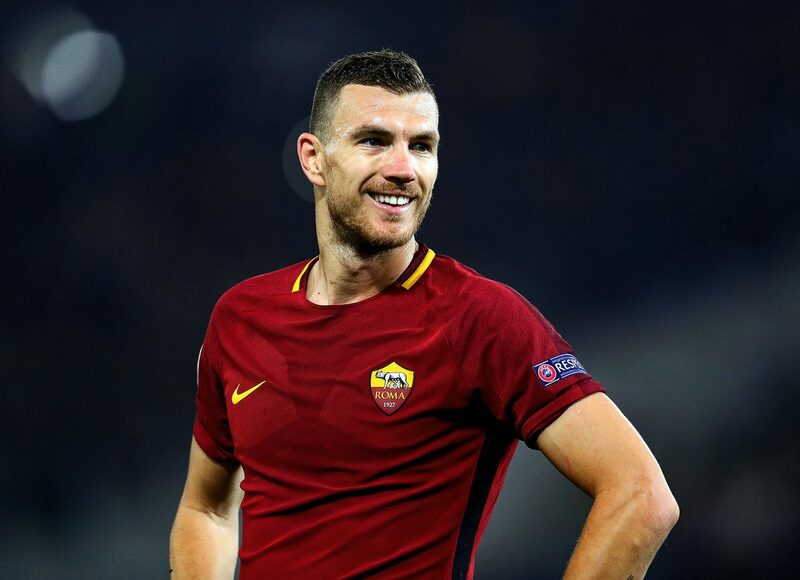 After conquering Germany and England – where his talents were often marginalised by the understandable brilliance of Agüero – Džeko sought a new challenge, moving to AS Roma. While the Bosnian has no Serie A titles to his name, his legacy will live on with the Giallorossi as he won the Capocannoniere with 29 goals in the league, and has been part of some famous nights in Rome. It was Džeko who started the unforgettable Champions League comeback as his side rose from their ruins in Rome to defeat the mighty Barcelona, who had a 4-1 advantage going into the second leg. His name will often be conspicuously absent when talking about that famous game, as it is when discussing City’s title win in the last minute against Queens Park Rangers, but this only adds to his allure. For those that rate him, it’s beggar’s belief. For the rest, who cares? The story charting the journey of Džeko is inspiring. It may not be the tale of a glittering career dusted with Ballon d’Or’s and international accolades, nor will Džeko go down as one of the best strikers to grace European football, but his story carries weight for what he’s overcome to just be here. It is the story of a boy who kicked a ball around a park and went home at night not knowing if the park would be there the next day. It is the story of a child who watched buildings and families destroyed one by one in his neighbourhood. It is the story of how tragedy shaped his passion and how a young man with a dream went on to represent his nation, becoming a humble idol in the process and taking them against all the odds to the World Cup finals. While Džeko will never be spoken about in the same breathe as the greats of his clubs. 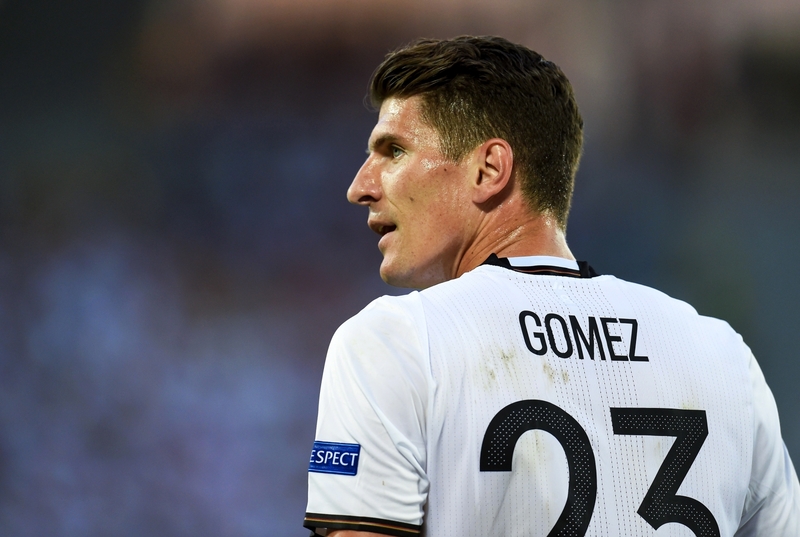 as the only player to have scored 50 or more league goals in England, Germany and Italy, he should be regarded as one of the most underrated players of his generation. His career still has a few chapters left, too. 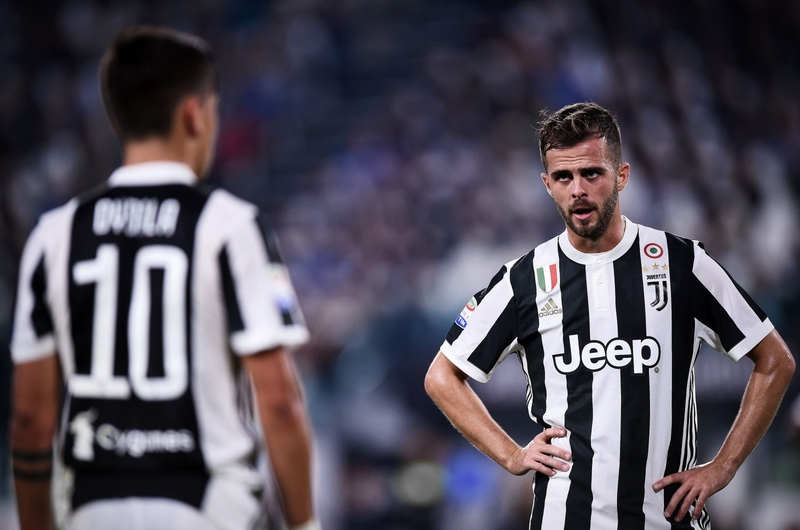 He isn’t a player who relies on pace, instead using a languid approach that once saw him sold for the paltry sum of€25,000. FK Željezničar were wrong. Selling Džeko wasn’t a case of “winning the lottery”. It was daylight robbery.